My Toluna Surveys Review, Is It Legit Or Scam? Thank you for visiting, if you have anything you’d like to add, feel free to leave them in the comments below. So without further ado, here is my Toluna Surveys Review. This is not a bad company, though I wouldn’t recommend it if you are looking for a new line of work. As of this writting, Toluna has been around for 16 years and is still going strong because they tap into the most lucrative resource that companies value so much, your opinion. They started off doing surveys and have since added polls to their product. If you have a lot of free time and enjoy helping other companies learn about you, you can earn some extra cash for those special get away nights. From a business side of things, polls are valuable when trying to find out what others think. A free service like Toluna is one of those tools that I use when writing out articles. If I wanted to know how many people would for say have built a website, I could write that in and have others simply click yes or no. With over 9 million users, your chances of finding a statistic is very good. When starting out your business, extra cash here and there helps in the beginning. The expenses of a website, keyword research tool and email marketing software are not that expensive, yet having them covered does help since your not making any money yet. This company is mainly for the businesses looking for customer input, the pay for a user is very difficult to make. Though, with 9 million users, the company is still going strong. With every old company, comes a lot of complaints, so the motto go’s, you can’t please them all. Check out my review on swagbucks, a new survey company that may have better results than Toluna. At the very bottom of their site they have a contact button that has (FAQ)Frequently Answered Questions and if that doesn’t help, you can fill out a support question on from the same page. Signing up is free, the only thing you spend is your time. To make money with surveys, you will have to fill out hundreds of surveys from different companies. Filling out surveys isn’t for everyone and they let you know that you can’t make a living doing it. 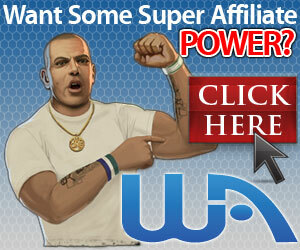 If you are looking for a way to create a passive income, check out my review on Wealthy Affiliates. Thanks for visiting, check out my social sites Google+, twitter and facebook. If you have any questions or comments, feel free to leave them below. I enjoy answering everyone. Previous Previous post: My Usertesting Review, Is It Legit Or Scam? Next Next post: My Review of Clickworkers, Is It Legit Or Scam? When I read you article I realized Toluna is just another survey site. I did not like the idea of losing points after one year. If qualifying for the surveys is so thin then you could work for a long time before earning 60,000 points couldn’t you? Filling out survey can be fun and nominative but it is also time consuming and pays very little. I will stick with Wealthy Affiliate and my own online business. It’s great for some small money, but I agree with you. It’s too mindless for me. Hi there. I just read your review on Toluna and thought I would just drop you a quick comment to share my thoughts. I have looked into survey websites on several occasions but they all seem to fall into one of two categories. They are always either hard to get paid by and take a long time to get any results, or they are complete scams. I tried a couple in the past, one was a total scam and the other let you fill in half a survey before telling you that you weren’t qualified to fill it in! What a con! So its good to hear you say that Toluna is at least a legit site. I think lots of people look to these sites as an easy way to make money but in my experience they are far from it. But at least Toluna are upfront about that too, which is far more than can be said for a lot of Survey sites. Even when surveys are up front about how much you are going to get paid, you still should put in your due dilegence and research all the reviews on them. You may find something that I missed, of course if you do let me know so I can update my review.